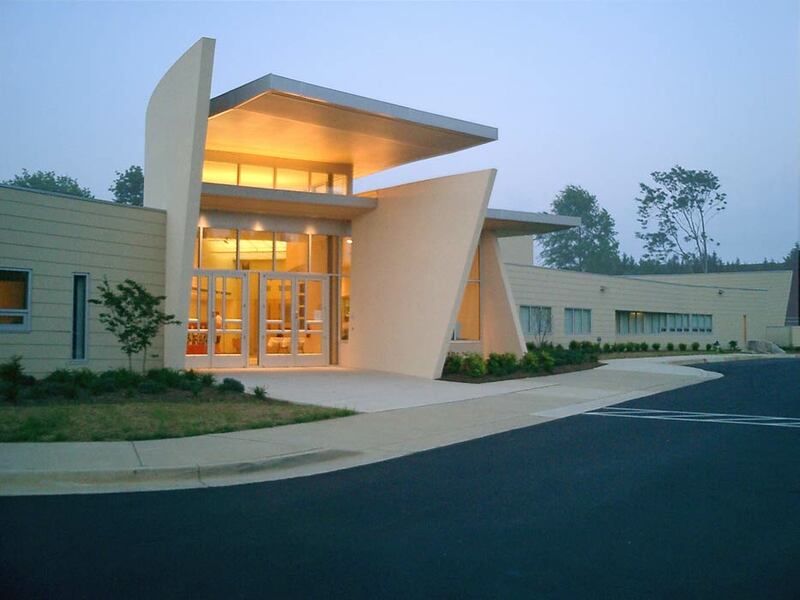 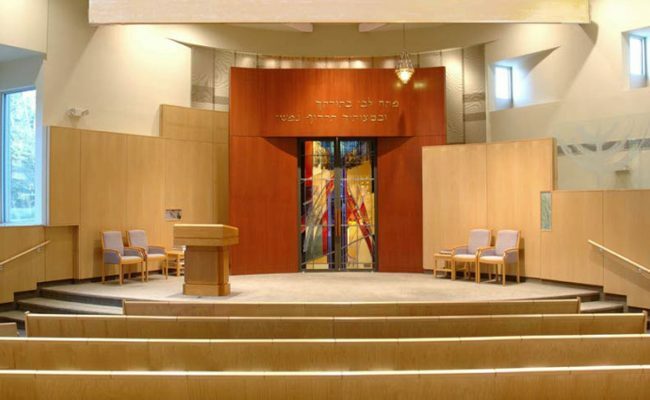 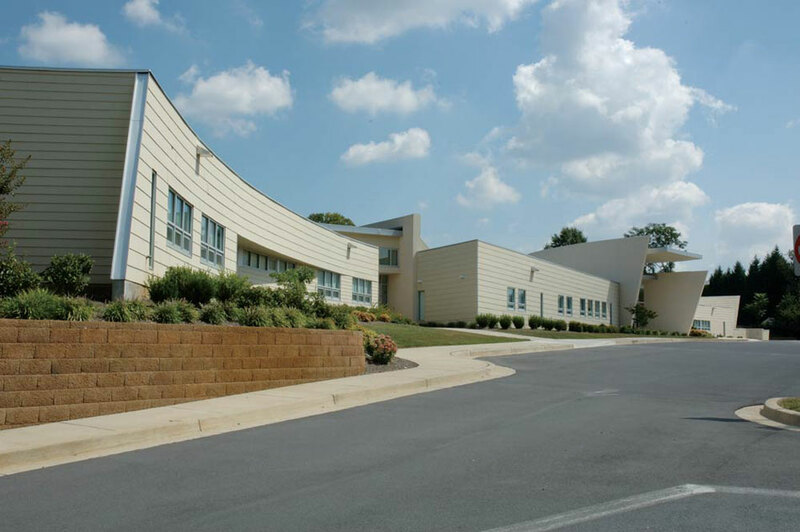 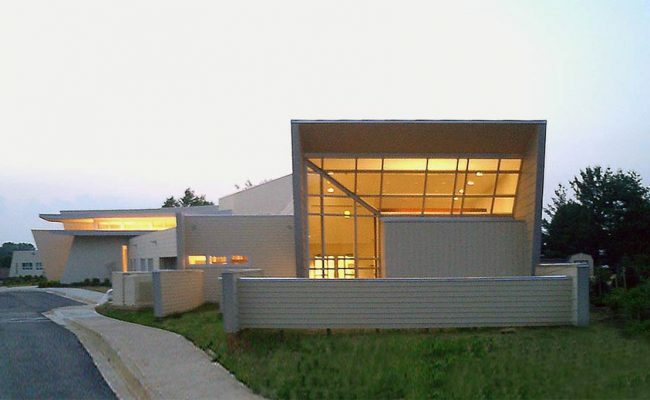 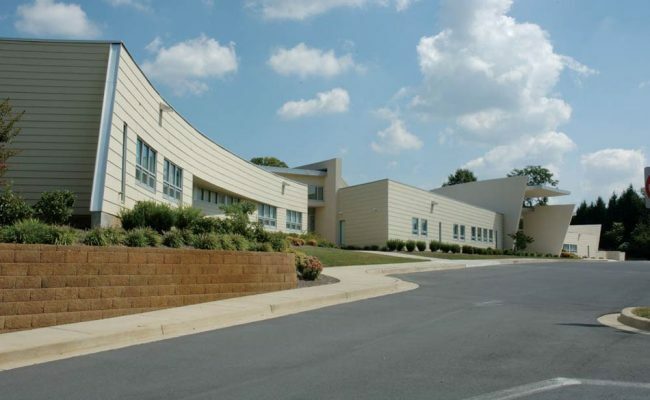 This 26,000 square-foot addition and renovation expands B’nai Shalom’s established school and administrative areas, enlarges and reconfigures its main worship space, and expands the social hall in order to accommodate larger events such as weddings and bar mitzvahs. 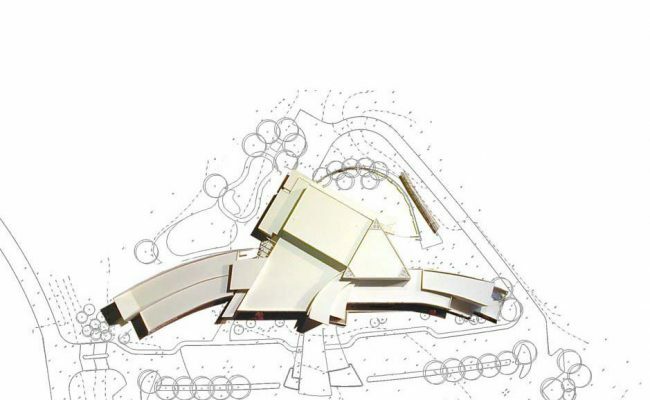 Working closely with the client, we produced a unified, efficient and expressive architectural solution while keeping within the client’s tight budget. 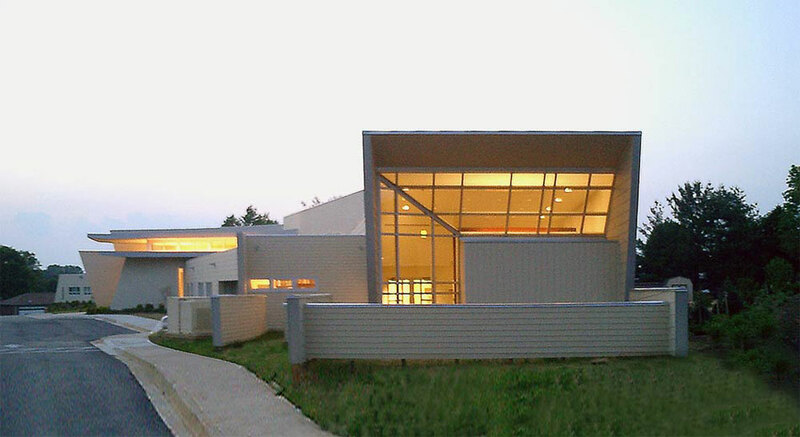 Classrooms were designed for flexibility, allowing combinations of space that reduced the building’s total square footage. The building’s long facade parallel to the highway bows inward, a gesture that draws movement toward the entry. 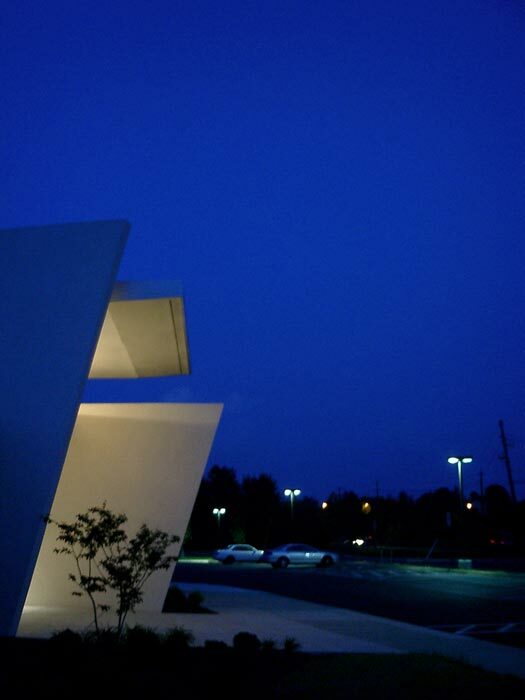 All of the planes and edges of the building are sympathetically inclined. 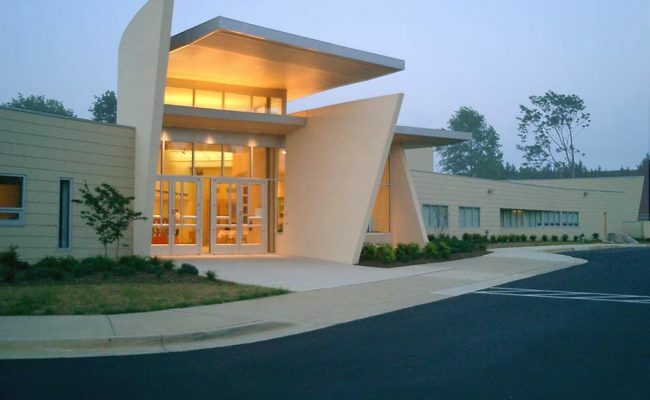 Conversely, the architecture of the school entrance differentiates it from the main entrance, providing cover with separate lanes for pick-up and drop-off.